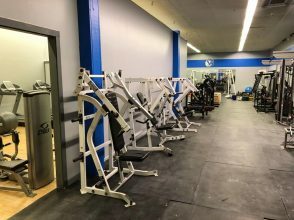 Iron Will Gym is a brand new, locally owned and operated physical fitness center at Pantops! The gym will accommodate all experience levels and goals, in a community based and comfortable environment. Iron Will Gym strives to have the best personal training in town and a huge selection of equipment to work with. Another great feature! It fits YOUR schedule with 24/7 keycard access. Memberships are $59.00/month with no initiation fees or contracts (and a Military/First Responder Discount). Just call (434) 228-1708, or stop by the gym today.